As the sun sets on the 2018 Formula One season in the sand of the Abu Dhabi desert on Sunday, it’s also fitting that one legendary career is being eclipsed by the huge promise of another one on the rise. 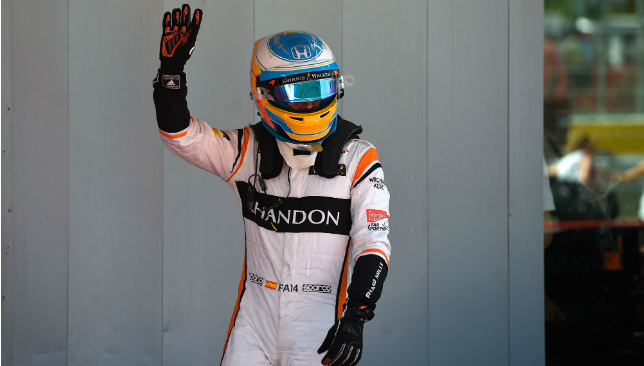 Fernando Alonso bids an emotional farewell to F1 after a 17-year career which has glittered, but also certainly lost some of its gloss since back-to-back world titles were hoisted in 2005 and 2006. Those championships were won with a superior Renault outfit when Alonso was just 24 and 25. He was set to dominate the sport but a move to McLaren in 2007 coincided with the ascent of another bright star, Lewis Hamilton, and the Spaniard was put in the shade. A dream move to Ferrari in 2010 failed to yield the predicted and coveted third title and he returned to McLaren in 2015. But his twilight years have been spent in mediocrity with the British marque enduring a cursed relationship with engine manufacturers Honda. Hamilton and Sebastian Vettel have won eight of the last nine championships, but it is Max Verstappen who is viewed as the sport’s future. The Dutchman is only 21 years old, but has already claimed five race wins and his 2018 tally of 234 points is his best record in an early career which is nevertheless already in its fifth year. And not being able to race against an Alonso at the peak of his powers is something Verstappen is saddened about. “It’s a bit of a shame because I never really raced against him,” the Red Bull driver said ahead of Sunday’s season-ending Abu Dhabi grand Prix. “Of course he was in Formula One when I was there but I never really had a fight with him. He’s been at the back because of the issues they (McLaren) had. “That’s one thing I regret because I’ve been racing against Seb and racing against Lewis already and that’s been nice, but never with Fernando. “Back in the day when I was watching TV, he was always the one really fighting them. Of course it’s nice I race with him but I never fought against him which is a shame. Verstappen has been brash and abrasive in his early career, both on and off the track, especially this season – typified by being ordered to undertake two days of “public service”, a penalty from the FIA for pushing Esteban Ocon at Interlagos earlier this month after the Force India driver collided with and cost Verstappen victory in Brazil. But he is also undeniably brilliant and big things will be expected next year of a man who will enter 2019 as the unequivocal Red Bull team leader following Daniel Ricciardo’s move to Renault. 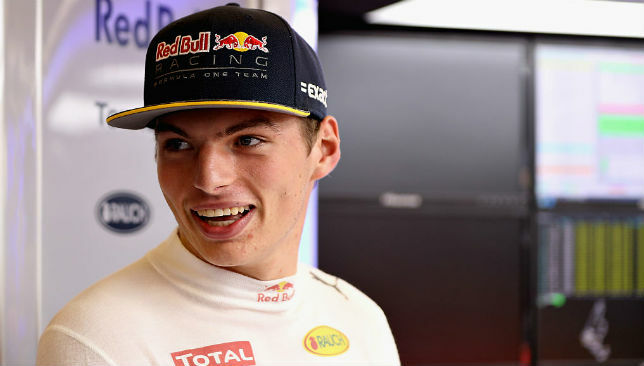 Verstappen has his own racing simulator at home to help him prepare for next year, but he admits he’s more likely to be playing football video game FIFA during the winter break. Verstappen lines up in sixth at Yas Marina Circuit and even though most drivers will want to end the season on a high, he is not holding out much hope of victory in the UAE on a track notorious for being difficult to overtake on. “I personally don’t think so,” Verstappen responded to journalist’s questions after qualifying on Saturday about whether he can win. “First of all this track is really different to Brazil where you can’t really follow that well, because the corners are not made for it. In Brazil you can do a few different lines but here it’s all 90 degrees so there’s only one line. 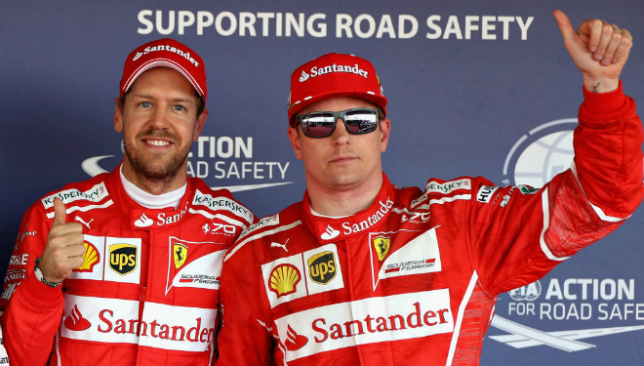 Kimi Raikkonen is leaving Ferrari after five succesive years and eight in total. Daniel Ricciardo’s defection to Renault next season after a decade with Red Bull has grabbed a lot of headlines as Formula One heads for the off-season – but there is another big story concerning a driver heading for pastures new, or rather old. Kimi Raikkonen‘s reunion with Sauber is one of the most anticipated storylines ahead of the 2019 season. The flying Finn, 39, is leaving Ferrari after eight years – spread over two stints – and heads back to where it all began for him in F1. Raikkonen finished 10th with Red Bull Sauber Petronas as a starry-eyed 22-year-old rookie in 2001, carrying only 23 car races under his belt, before moving on to McLaren the following year. 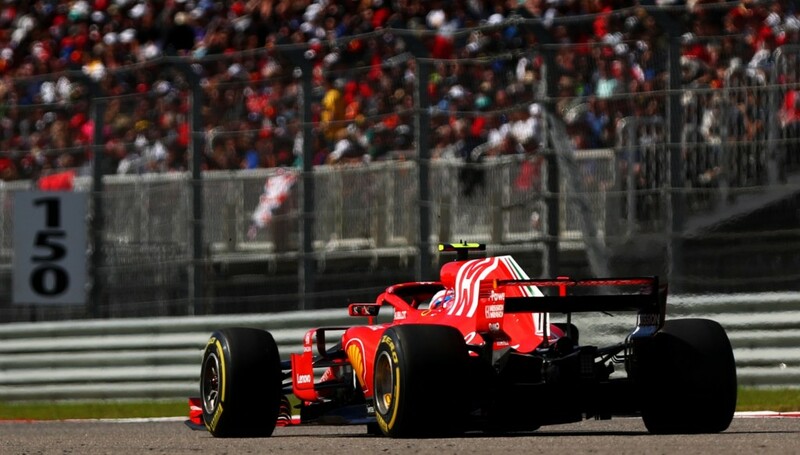 And the Iceman will get his first taste of life back at the Swiss team a little earlier than expected with team principal Frederic Vasseur confirming Raikkonen will be in the car at next week’s Abu Dhabi Pirelli tyre test. After five successive seasons with Ferrari, Raikkonen is getting off the Prancing Horse and returning to the team that gave him his debut. Next week’s two-day Pirelli test provides teams with an opportunity to run in-coming drivers, with McLaren taking the chance to run Carlos Sainz and Lando Norris, while Williams will test out new duo Robert Kubica and George Russell. Sauber have followed suit, with Raikkonen getting one day in the car – but Ferrari have yet to confirm whether Charles Leclerc (who is moving in the other direction) will get a chance to drive the SF71H. Raikkonen is looking forward to getting started with his new team, which he joins on a two-year contract. “I’m pretty sure it’s a much smaller team than where I’ve been now, at Ferrari, but I’m really looking forward to it,” he said. “It’s going to be different in many ways but the aim is still the same: Do well in the races. “It’s more pure racing and less the other stuff in there. Hopefully it will turn out to be good for both of us and that’s our aim. I think it’s what we can do, but obviously I might be completely wrong, but we’ll find out. Red Bull have yet to confirm whether incoming Pierre Gasly – who replaces Ricciardo – will drive for them at Yas Marina next week, but team boss Christian Horner has stated that the outgoing Australian will not be released from his contract early to link up with his new team. 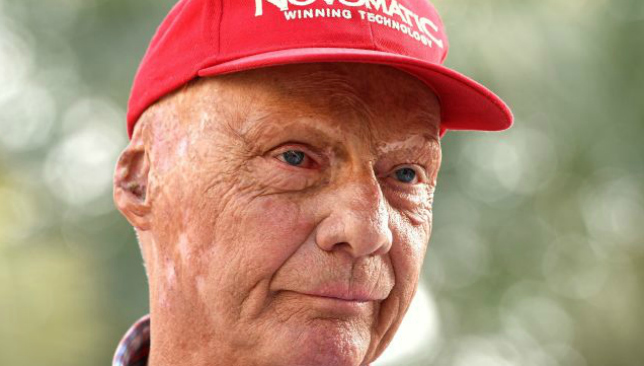 Three-time Formula 1 world champion Niki Lauda is not attending the 2018 Etihad Airways Abu Dhabi Grand Prix as he continues to recover from a lung transplant. It had been reported that despite the Mercedes team non-executive chairman’s closest paddock friends claiming Lauda had targeted a comeback for the 2018 season finale, he is in fact not well enough to be in Abu Dhabi. Lauda won the F1 drivers’ championship in 1975 and 1977 with Ferrari and again in 1984 with McLaren. In 1976, he was badly burned when he crashed during the German Grand Prix, but returned to racing just six weeks later. The Austrian posted a message on Mercedes’ social media accounts on Saturday ahead of qualifying for the Abu Dhabi Grand Prix at Yas Marina Circuit to thank everyone for their support congratulate the team on the fifth successive double title success. “As you all know, I had a rough time from my health point of view and the support I got from all you people on my way was unbelievable and I was out of bed quicker because I felt to be home in a big strong family and friends,” said Lauda. “The [team’s] achievement of this year – outstanding. Five championships in a row, Lewis again, Bottas right there, we could not have done a better job.